Originally from Colorado, Dr. Dunn attended medical school at the Oregon Health Sciences University and then completed residency in Spokane. 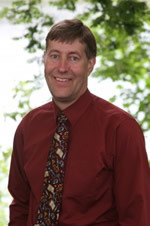 Dr. Dunn is a Clinical Associate Professor in the Department of Family Medicine at UWSOM. 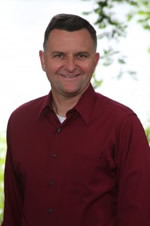 He enjoys pediatrics, sports medicine, and diabetic care. He serves as medical advisor and volunteers at the Bonner Partners in Care Clinic for the area’s uninsured. In his free time he enjoys competing in triathlons, skiing, and travel. Completed his medical training at the University of North Carolina at Chapel Hill. After residency in Boise, he did an additional year of training with an emphasis on pediatrics. Dr. Meulenberg is a Clinical Associate Professor in the Department of Family Medicine at UWSOM. He is active in training medical students and residents, and also helps provide mental health care in the community. Nichole Grimm, N.P. • Jane Hoover, N.P. • Jeremy Waters, M.D. • Kara Waters, D.O. • Paige Harding, N.P. Pediatrics: George DeLand, M.D. • Joyce Gilbert, M.D. OB/GYN: Margaret Bowden, M.D. • Amelia Huntsberg, M.D. Emergency Room: Kenneth Gramyk, M.D. 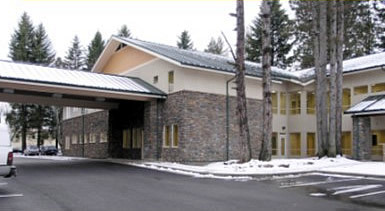 Nursing Home: Valley Vista Care Center operates as one of the nursing homes with 90 beds. In addition, Life Care Center has an Alzheimer’s Center as well as a 124-bed skilled nursing center. Housing: Three-bedroom furnished condo, located 1.5 miles from clinic. Sandpoint is pedestrian-friendly. Students could bike or walk to clinic, weather permitting. Spokane to Coeur d’Alene: Take I-90 East, then north on US95 from Coeur d’Alene to Sandpoint. Follow the road as it winds through town. Take a right on 3rd Street and go two blocks. Pinegrove Medical Center will be on your right. To see a map of where we are located and/or get directions from other locations, go to maps.google.com (for directions, click “Get Directions” in the upper left-hand corner where you can input the starting address). Air Transportation: Spokane via most major carriers. 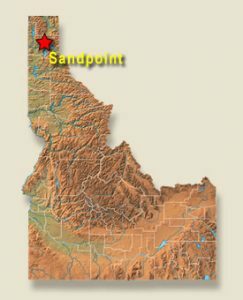 Sandpoint offers many activities in association with college campuses and a large metropolitan city Because of its close proximity to Pullman (Washington State University) and Moscow (University of Idaho), as well as Spokane. Sandpoint’s lakes, mountains, and rivers make for excellent recreation in all four seasons. Sandpoint is known for its music, art, and culture as well. Additional attractions include Shawnodese Boat Tour, Coldwater Creek, Schweitzer Mountain Resort, museums, sleigh rides, fish hatcheries, antiques, and a wildlife refuge. Winters are snow-filled. Summers are warm and sunny.